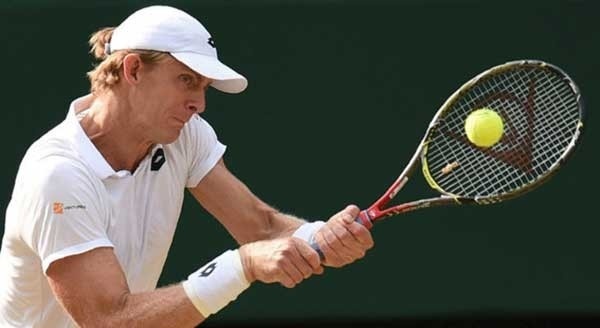 Johannesburg: South Africa’s star Kevin Anderson is through to the Wimbledon men finals after defeating American John Isner in a marathon five setter match that lasted for more than 6.5 hours. Anderson will play his first Wimbledon final on Sunday after beating Isner 7-6, 6-7, 6-7, 6-4 26-24 in the semifinal. In the second longest match on Saturday, Anderson was able to fight back from 2-1 back to seal the victory. During the match, Anderson won the first set but failed to show his spark in the following two. He then took the fourth set 6-4, breaking the Isner’s serve twice in the set. Anderson finished with 49 aces and 118 winners while Isner had 53 aces and 129 winners. He broke through for a 5-3 lead in the third set, ending Isner’s run from the game. He saved three break points in the third game of the first set before Isner had to save a set point in the 10th. Anderson will now face either Novak Djokovic or Rafael Nadal in the final.